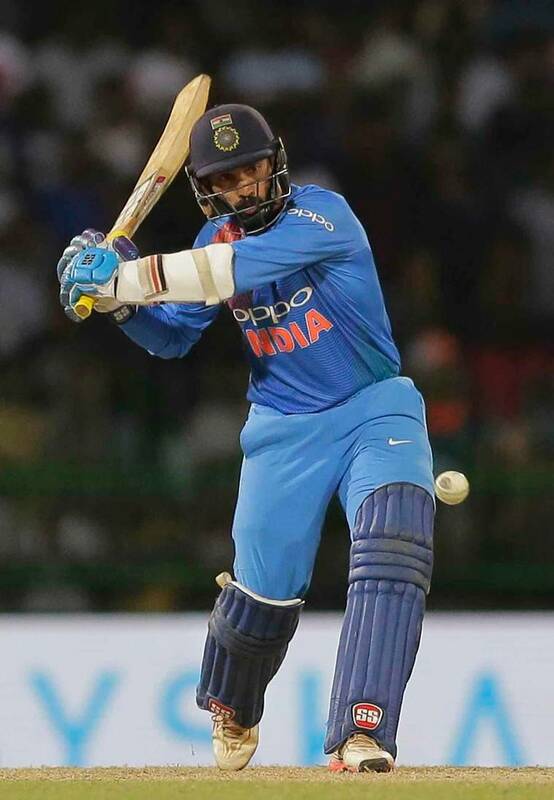 Rohit Sharma said that he missed Dinesh Karthik's last ball six as he was busy padding up, hoping that the match would go into a Super Over. Rohit Sharma said that he had missed Dinesh Karthik’s last ball six as he was getting ready for the Super Over. “I had walked back in the dressing room to wear my pads,” he said in a press conference after a thriller of a match between India and Bangladesh. India needed five runs to win off the last ball of the match and wicketkeeper Dinesh Karthik hit a six over extra cover to finish the job in emphatic fashion. This also helped India win the Nidahas Trophy. Rohit Sharma, who was captain of the Indian team in the tri-series involving his side, Bangladesh and hosts Sri Lanka, said that he was hoping the match would go into a Super Over. “Very happy to see Dinesh doing what he did, he didn’t get much game time until now, but he showed his power,” said Rohit in the post-match presentation. “We held him back because of his finishing ability and his experience. And it paid off. I always had a lot of faith in our batting group and we were confident after keeping them to a par score,” he said.